I tried to hate Hank Chien. 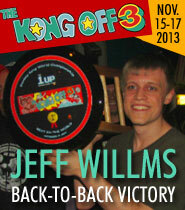 The moment I became aware of him and what he had done—namely, butting into the Donkey Kong world record chase by nabbing the top score from Billy Mitchell in 2010—I wanted to know who this guy was, and what he thought gave him the right to upset that perfect balance. I wasn't able to get through even one interview before he started to grow on me. 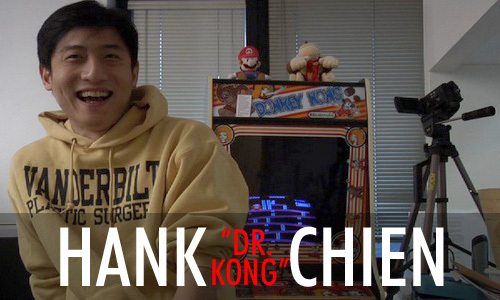 By the time the credits rolled on Dr. Kong, which I saw some time later, I was in the palm of his hand. Hate was no longer an option. 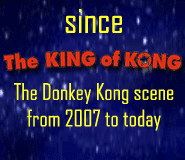 As the de facto ambassador for competitive classic arcade gaming, the Donkey Kong record holder should have charisma. For the four years that Hank was on top, we were in good hands. Dr. Chien, as the world knows by now, is a plastic surgeon, the son of a Taiwanese immigrant family. He lives and works in New York, unmarried but taken. Between 2010 and 2012, Chien terrorized the top spot, pushing it higher and higher five times in a row, never facing a serious threat until Vincent Lemay came within a hair of toppling him in January 2013. 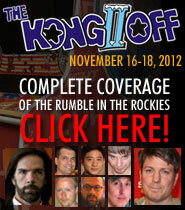 New contender Robbie Lakeman finally broke through the "Chien force field" and brought his reign to a close in September 2014. Chien is now focused on his business, having left the record rivalry to Lakeman and Wes Copeland. 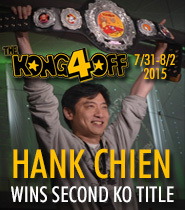 He did manage, however, to win the Kong Off 4 in 2015, sending the message loud and clear that the doctor is still in.